It is the late 1890s in Wyoming. Butch Cassidy is the charismatic leader of the Wild Bunch, a group of criminals who have pulled off many successful bank and train robberies. His closest companion is the Sundance Kid, a laconic, yet skilled marksman. Returning to their hideout at Hole-in-the-Wall, they learn Butch has been replaced by Harvey Logan as their new leader. Butch quickly reasserts his authority when he defeats his would-be replacement through trickery. They proceed to make plans to rob the Union Pacific Overland Flyer train. By striking the train on both its eastward and westward runs, they will maximize their potential rewards. One of the most laudable aspects of Butch Cassidy and the Sundance Kid concerns its leading men. Paul Newman and Robert Redford as the respective title characters have an excellent dynamic together. The serious, contemplative depiction of Sundance works excellently alongside the talkative, people person that Butch is shown to be. Though generally serious about its themes, I don’t think most people going into this film expect it to be as humorous as it manages to be. The jokes themselves are flawlessly implemented. The two leads have a perfect sense of comedic timing, yet the humor isn’t distracting. Instead, it enhances the idea that these two have known and supported each other for years. Along with Katharine Ross as Sundance’s lover, Etta Place, you have yourself a winning combination. One of the central themes of this film is that you get a sense the protagonists were ultimately born in the wrong time. Had the two of them been pulling these impressive jobs even just fifteen years earlier, they would have been some of the most successful rogues in history. As it stands, by the time they began their criminal careers, the Old West as they knew it was drawing to a close. As a result of the country’s rapid modernization, local governments can now easily put together a task force to track any criminal prominent enough to get their attention. After two successful train robberies, the authorities eventually decide to mobilize the Pinkerton agents to capture Butch and Sundance. This six-man team arrives on a train shortly after the gang’s second robbery. Among their ranks is a Native American tracker who goes by “Lord Baltimore” and a lawman named Joe Lefors. The latter has a reputation as a relentless pursuer and the sequences following his introduction demonstrate how he earned it. His squadron effortlessly keeps up with the duo no matter what they try to do to throw them off their tracks. 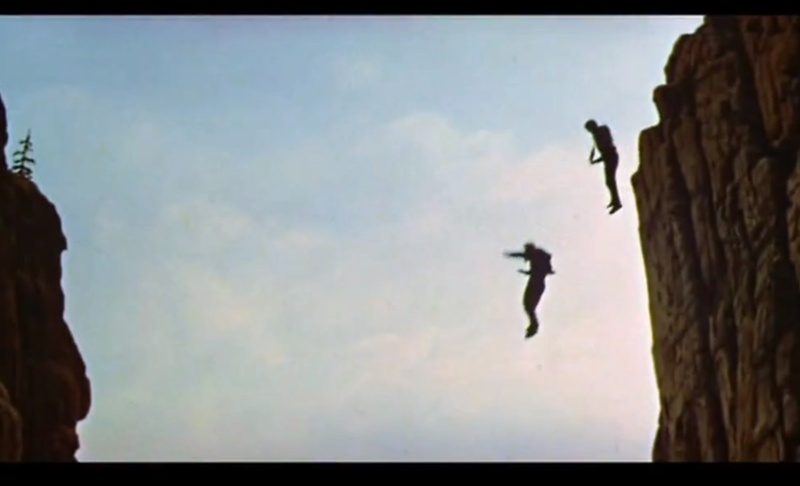 The duo eventually has to take a literal leap of faith just to have a chance of avoiding them. The world being unsuited for the kind of lifestyle Butch and Sundance enjoy is foreshadowed as soon as the film begins. Exposition is initially provided with in the form of short silent film shot in the era’s prevailing directorial style. When the story begins in earnest, everything is in a sepia tone, evoking the aesthetics of a photograph taken with the world’s first cameras. Only when the actors have been introduced and the central story made known does color enter the world. There is something of a hidden irony in how the bright, sunny aesthetics of this film are used to showcase the twilight of the Old West. It is due to the law enforcement’s sheer persistence that the duo is eventually left with no choice but to flee the country. Taking note of the United States’ advanced law enforcement, they flee to the South American country of Bolivia. Their first attempt at robbing a bank hits a snag when, much to Sundance’s annoyance, Butch doesn’t actually know any Spanish. This necessitates a crash course in Spanish with the help of Etta Place. Using the phrases they pick up from Etta’s lessons, they eventually begin recreating their success, robbing a stream of banks across Bolivia. The authorities then dub them Los Bandidos Yanquis. Though things appear to go well at first, they eventually happen upon a man wearing a white hat – the calling card of Lefors. Realizing these lawmen will chase them down to the ends of the Earth, Butch suggests going straight. They soon land a job as payroll guards for a mining company. 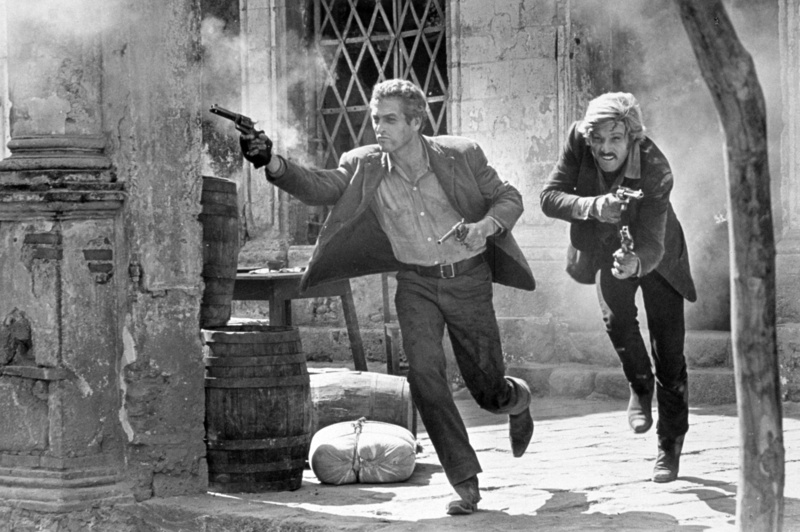 Their boss is killed out of the blue when Butch and Sundance find themselves accosted by bandits. It becomes clear that these bandits are not interested in negotiating, and the duo must fight their way out. Before the first bullet is fired, Butch reveals he has never shot anyone before in his life. Though it sounds like a Hollywood invention, there is truth to be found in this scene. The real Butch Cassidy was a former Mormon and therefore strongly condemned killing. He believed that as long as he abstained from this cardinal sin, God would probably forgive him for his other indiscretions. In other words, when he and Sundance were on the wrong side of the law, few, if any, of their victims ended up paying with their lives. Only after they tried to clean up their act do they end up killing anyone. It is by this point you realize the Butch and Sundance don’t really know that much about each other at all. Butch only learns Sundance can’t swim right before they’re about jump into a river from atop a tall cliff. Only when they attempt to rob a Bolivian bank for the first time does Butch reveal he doesn’t know any Spanish. It is when they are in an unavoidable shootout that Butch decides to point out he has never shot anyone. It shows that you can be familiar with someone, yet not know the first thing about them. Concluding they would be worse off in their attempts to go straight, Butch and Sundance steal a payroll along with the mules carrying it. This act ends up being their undoing when a boy alerts the police, who then proceed to get in a massive gunfight with the outlaws. Butch’s suggestion to travel to Bolivia seemed to be a sound one on its surface. The United States had evolved to the point where the traditional outlaw lifestyle was becoming less feasible by the day. It would appear that the duo has travelled back in time twenty years when they arrive in Bolivia, making it an outlaw’s paradise. However, it turns out Butch underestimated them; the country is more advanced than he thought. This is proven when the Bolivian army descends upon the town – all of the soldiers are equipped with modern rifles. With the two of them severely wounded, Butch suggests they should head for Australia next, reasoning that it’s so far away from the Americas, no lawman could possibly follow them there. As an added bonus, they speak English there. Knowing their chances of survival are infinitesimal at best, they charge out of the building guns blazing. It is on this note that the film ends. Historical records say that both outlaws perished in this shootout, and it would seem impossible they could have survived. Though nothing more was ever heard of Sundance, there is fleeting historical evidence that Butch survived and maintained a low profile for the rest of his life. Because it is impossible to know for sure, this is the single greatest way Mr. Hill could have ended his film. In this fleeting moment, the outlaws the audience connected with over the course of the film are alive and well, going out in a blaze of glory. 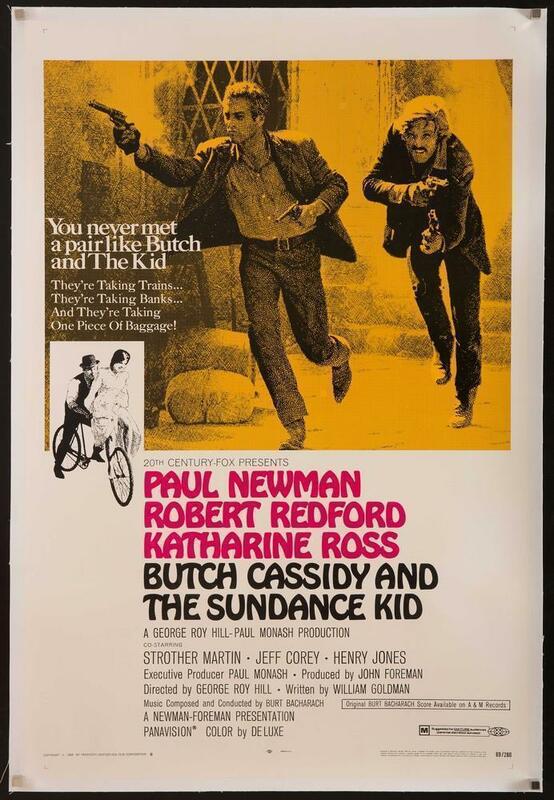 Butch Cassidy and the Sundance Kid is a classic example of a film that performed exceptionally well in the box office, generating an impressive $102 million on a $6 million budget, only for critics to dismiss it offhandedly. The review written for Time magazine was especially scathing; the critic believed its leads were “afflicted with cinematic schizophrenia” and that the dialogue “could have been lifted from a Batman and Robin episode”, derisively referring to the popular Batman television series airing at the time. Roger Ebert, who had famously given a glowing review to Bonnie and Clyde when few of his peers did, wasn’t that much kinder, only awarding it 2.5 out of 4 stars. Sometime after that, the critics realized the error of their ways and it is now rightfully considered one of the greatest films of the sixties. Its vindication was punctuated in 2006 when the Writers Guild of America declared Butch Cassidy and the Sundance Kid the eleventh best screenplay ever written. Mr. Ebert believed the film started off promisingly only for the quality to decline in quality as it went on. I would counter that such an assertion couldn’t be further from the truth. The film has a dynamic quality to its storytelling, establishing the outlaws’ exploits in a rapidly modernizing United States before having them flee for what they believe to be greener pastures. 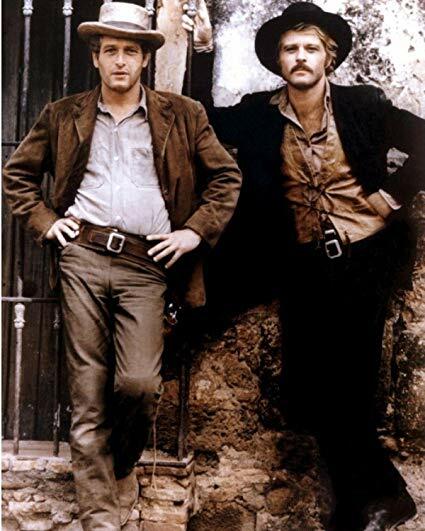 Although one could argue that, as a duo, Butch and Sundance don’t know anything about each other, the two of them have superb chemistry together regardless. Paul Newman and Robert Redford could easily carry a film on their own, and their performance together absolutely deserves a watch. This was my mom’s favorite movie (except maybe Rocky). If that’s anything to go by, she certainly has good taste! I saw this movie about 4 years ago for the first time. I saw it all on my lonesome, and it was one of my better movie-watching decisions. I loved it! Ah, I’m glad you liked it. It’s amazing that critics at the time didn’t. Guess the audience was ahead of the curve there, huh? Paul Newman and Robert Redford are great in this film. You should also try out The Sting, which also stars them in the lead role, if you haven’t already. Hill is the director of that one as well.